The Skinny Doll is a part time successful blogger in Ireland focusing on diet and recipes, beauty and lifestyle. She achieved the ‘Littlewoods Ireland Best health & Wellbeing blog 2017’ and the ‘Very’ award for Gold Blogger too. After launching her APP late summer 2015, she has over 5400 fan users and growing. This enables her to connect with her followers on a deeper level. 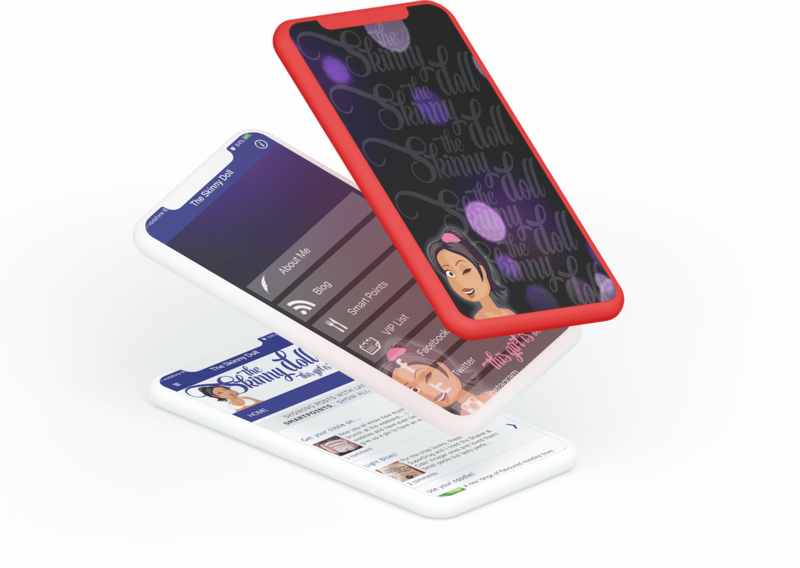 Her followers can read her daily blog on the APP, read about Smart Points, join her mailing list, contact her for questions and get updated with all her social stuff.